This is a comprehensive listing of haunts throughout Southern California. It features theme park/attractions, stand-alone events, and home haunts. If you own a haunt that should be included on this list, please contact us at TPAComments@gmail.com. 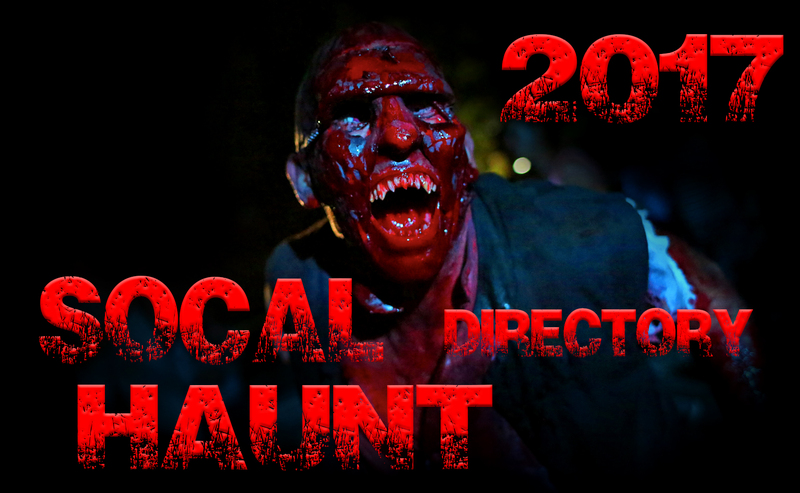 To be included in our 2017 SoCal Haunt Directory, a haunt must have a website/fan page displaying this year’s information and a physical address. We will continue to update this page throughout the Halloween 2017 season, so it is never too late to contact us. If your favorite haunt is not on this list, they either have not updated their information for 2017, or may not be returning this season. When visiting these haunts, be sure to tell them you found them on Theme Park Adventure! This entry was posted in Haunted Attractions, Home Page Slider and tagged Halloween, Haunted Attraction. Bookmark the permalink.